This was my first ever Tea ceremony! It was full of special details, vibrant colors, celebratory moods, and lots of delicious food! 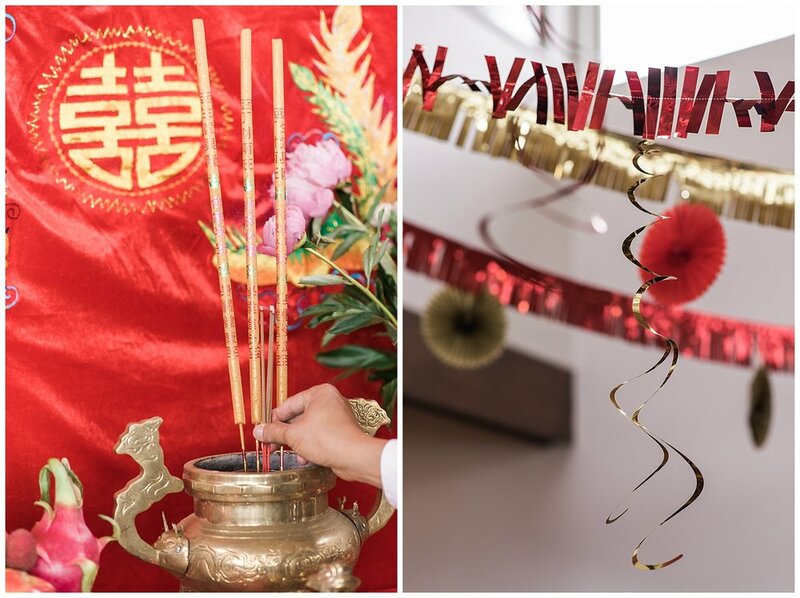 In traditional Vietnamese culture, the tea ceremony IS the wedding, and typically includes the exchange of several symbolic gifts and receiving blessings from the bride’s and groom’s families. 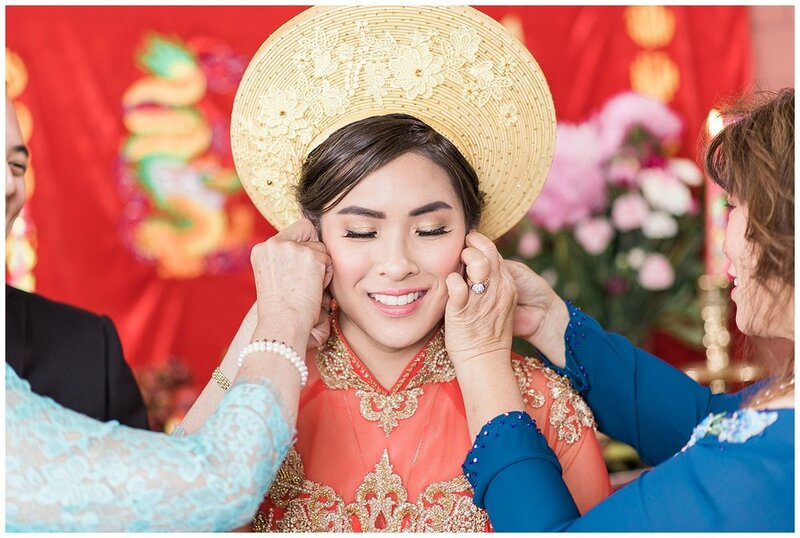 Their Vietnamese Tea Ceremony is a great representation of beauty and richness within their families Vietnamese culture. Vivian and Victor's tea ceremony started inside, in front of an alter adorned with meaningful decorations. 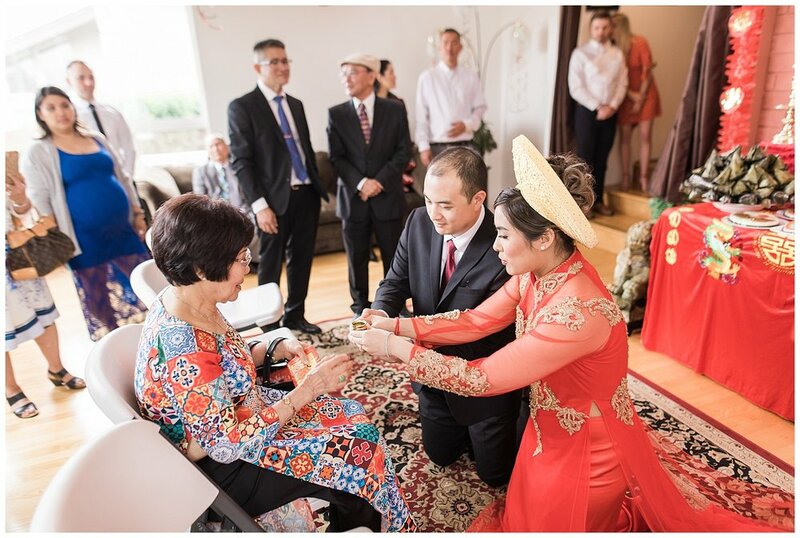 During the tea ceremony, Vivian and Victor asked each other’s parents to accept their union and the union of their families. Tea was poured tea served parents by the bride & groom. The bride is usually gifted with beautiful gold jewelry, and Vivian was no exception - LOVED the pieces she received. It was an honor to photograph Vivian and Victors special day and bear witness to the families coming together to celebrate their union. 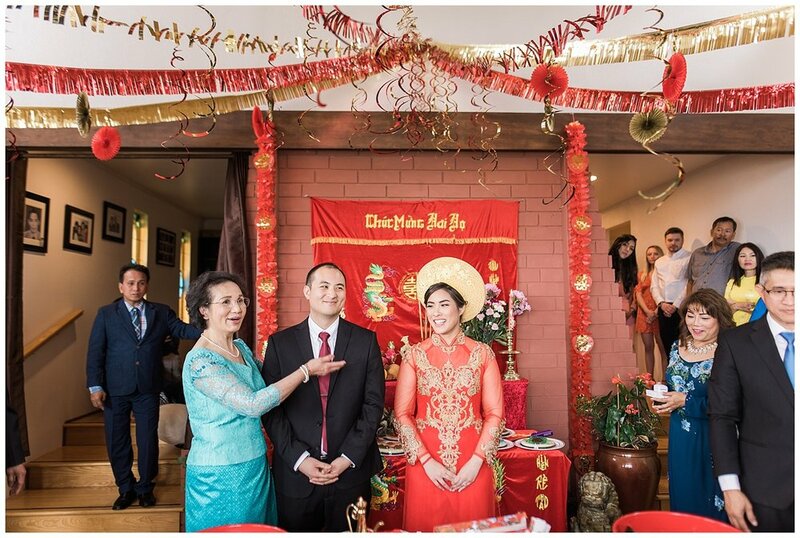 Vivian was positively radiant in her traditional Vietnamese Wedding Dress, the Ao Dai. 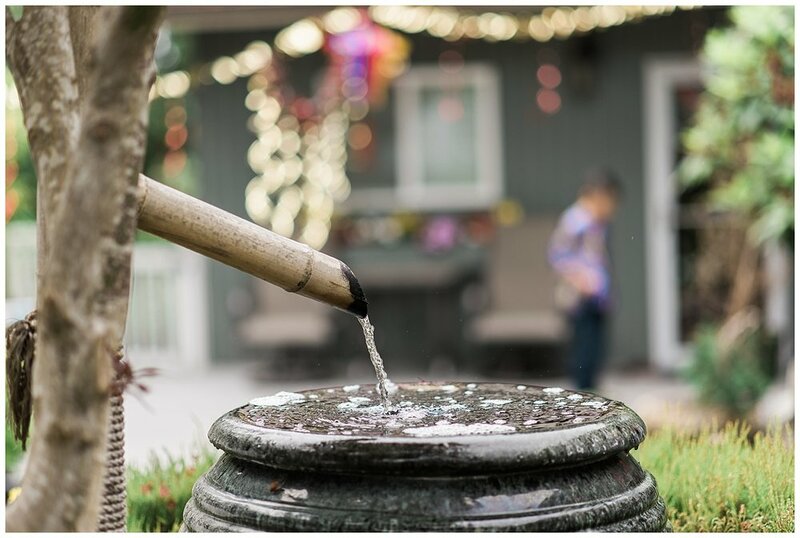 Enjoy some of the photos from the tea ceremony! I had a great time photographing this special occasion for Vivian and Victor, and wish them all the happiness in the world. Fun Fact: The pig symbolizes the bride's virginity! hah! The head and the bum of the pig are usually sent back with the Groom's family to show that everything is done thoroughly “from head to tail."